Pokemon Shattered Prism is a new RPG Maker XP project distributed totally free by fans of the series. JabaWaba – The author is just a newbie, so he has tried to create one game of his own and bring it here to collect everyone’s feedback (that’s what he said). Pokemon Brass Version : We are sure that you are a true Pokemon Fan that usually want to try new games. Yeah, let’s enjoy Pokemon Brass Version – a good hack with great features with us and then let us know your feeling. 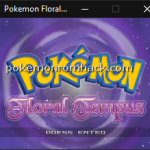 Pokemon Floral Tempus : Good to see you again in the new hack at pokemonromhack.com. We want to introduce to you Pokemon Floral Tempus. 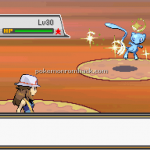 What are the differences of Pokemon Floral Tempus and other hacks? 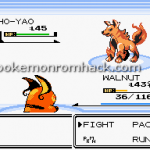 Pokemon AquaHarmony : By modifying, editing, adjusting… or whatever he does, the author of this hack has transformed the best things of RPG Maker XP into a hack of his own: Pokemon AquaHarmony. 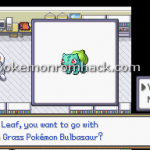 Pokemon Allworld , another RPG Maker XP game for you, is available right here. Many things to say but maybe you should figure it out. Aiming to change the normal old game into a new hack which is much more different, a hacker named Ebernacher90 has created this game into his own ways. Pokemon Zero is here to try. It is based on RPG Maker XP. Why is it an interesting game? Well, it will not tell you a story like other games, it has own new storyline that is written by the creator in many weeks. The name of this game author is Zerokid. Pokemon Abundance : Another after another, many RPG Maker XP hacks continuously appear and available for playing. 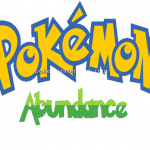 This time, we will come to the Pokemon Abundance hack. 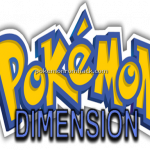 Pokemon Dimension : Get yourself packed with the Pokemon Dimension game, a hack of RPG Maker XP. 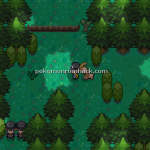 Free to download and play at pokemonromhack.com. After trying so many times, finally ZenosMalis can bring his own product to us. Will you play it?